Jolla Oy, Jolla Ltd. (International name), Jolla Mobile - an independent Finnish company, partly composed of former Nokia employees, engaged in the development of the operating system for mobile devices MeeGo. The main activity - development Sailfish OS, based on the spread and development of the core Mer project, which originates from the MeeGo project. Jolla continues the work begun on the Nokia smartphone Nokia N9. After Nokia ceased to participate in the MeeGo project director and the developers left the Nokia Jolla and founded to continue the development of MeeGo. In November 2013, Jolla and Russian Yandex announced a partnership. Jolla smartphone sales began in Finland in November 2013, the end of July 2014 sales started in Kazakhstan, Russia - in November 2014. November 19, 2014 the company introduced its first tablet on Sailfish OS 2.0, but its sales are delayed due to financing problems. Jolla has been organized themselves Pienimyaki, Jussi Hurmola, Mark Dillon, Stefano Mosconi, former Nokia employees, as well as Antti Saarni (Antti Saarnio), as the company continues to develop smartphones based on MeeGo. For this purpose, the existing Finnish company Entity (established in March 2011) was renamed Jolla in October 2011. MeeGo Linux itself arose out of the merger of Maemo development (Nokia) and Moblin (Intel), both based on Linux. Upon termination of participation in the Nokia MeeGo project, the Samsung has replaced it (Nokia) as a provider of hardware, creating Tizen project. Nevertheless, the MeeGo continued existence thanks to the developer community, organized by the Independent Mer project. Once the largest employer in the market, Nokia began to lose their positions and tried to cut costs. Many of the employees were fired or left the company themselves. Nokia's Bridge program was created to choose to maintain or create a new start-up company from the former Nokia employees, to help them make a living and try to mitigate the negative image of Nokia. Jolla OS based on MeeGo API, as a natural development of the OS from the Mer project, to continue to develop their own systems. Thanks to Nokia's Bridge program, leaders Nokia and Jolla freely discussed development plans Jolla, and CEO Jussi Hurmola does not expect to claim on intellectual property from Nokia. However, Nokia has not transferred Jolla patents or other intellectual property development Jolla smartphones result, Jolla has no such rights. Jolla has no plans to support the Nokia N9, as this phone is Nokia, and from the product not Jolla. November 27, 2013 on the area of the center of Helsinki Narinkkatori first 450 Jolla smartphones were handed over to customers, pre-order. 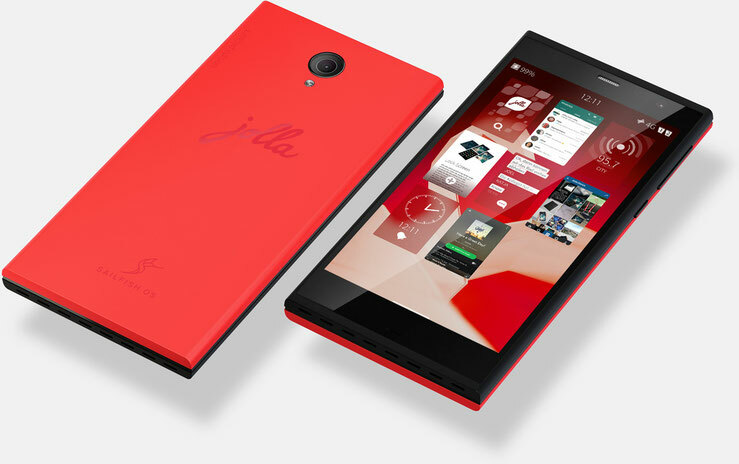 In broad sell smartphones Jolla received in December 2013. Jolla Phone - Smartphone with 4.5-inch IPS qHD display, 16GB of internal memory, 1 GB of RAM, microSD slot and vosmimegapikselnaya camera. Jolla Tablet - tablet with 64-bit Intel processor, 7.85-inch IPS display, 32 GB of internal memory, 2 GB of RAM, slot microSD, 5-megapixel main and 2-megapixel front cameras. 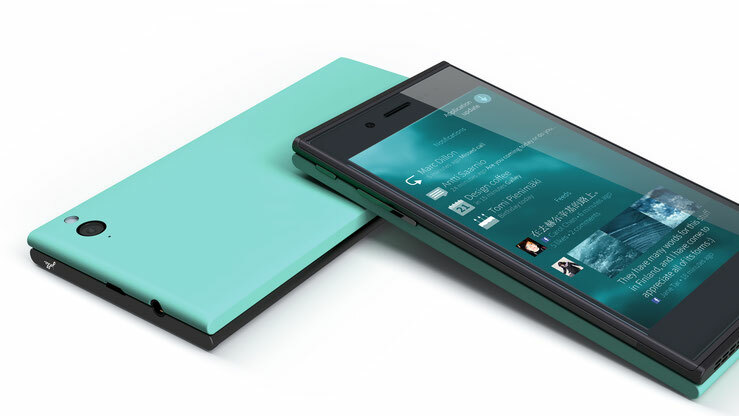 The Other Half - removable cover Jolla phone, which can be used for many purposes. It has NFC-chip and the supply device can have its own RAM, CPU, a program or device, may alter performance of the smartphone being easily replaceable accessory, such as a keyboard. Jolla C - a smartphone with a 5-inch IPS display with HD-resolution, 16 GB of internal memory, 2 GB of RAM, microSD slot and an 8-megapixel camera. De facto, a European version of the Intex Aqua Fish smartphone.